Plen2 is a robot designed to intrigue and engage human beings - especially adults. Take a few minutes and look at this exceptionally well-done video. Naohiro Hayaishi, who’s in charge of product development for Plen, says the company developed its original Plen bot in 2005, but last year started working on the follow up. Plen2 is smaller, and the big push here is on open sourcing its hardware so people with access to 3D printers will be able to print their own parts — and feel more connected to the robot, given they’ll have had a hand in building it. Partly this is about creating an education tool, says Naohiro, noting that the company is in the process of creating an educational program around Plen2 with various partners. But the grander — and more socially intriguing — goal here is to humanize robotics technology. “Our aim is to open up the relationship between humans and technology through printable and open-source robot kit,” is how the team puts it on their Kickstarter campaign. For $499 you’ll get the electronics (control boards, servomotors, accessories, etc.) and 3D parts’ data. Or pay for a full kit, costing from $699, for you to assemble. A pre-assembled Plen2 robot is $799. Plan is aiming to ship kits and bots to backers later this year, starting in August to November. 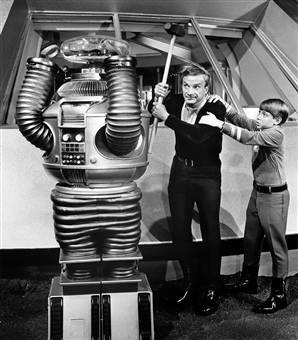 What ever happened to the literary tradition of helpful, congenial robots that worked with people, young and old? Maybe you can think of one. Via Plen2 at Kickstarter and TechCrunch.